I received my Ph.D. in Digital Document Classification (Images and Texts) from University of Caen Normandy in december 2015. During my Ph.D., I was under supervision of Pr. Antoine DOUCET, Pr. Frédéric JURIE and Pr. Marc SPANIOL. My interests are in Machine Learning and its application in Computer Vision problems such as photograph dating and, more generally, image classification. I have work at GREYC laboratory as a Temporary Lecturer And Research Assistant (ATER) from January to July 2016. Example of an old photograph inserted into a web page: the objective is to automatically predict the shooting date of the photography based on both the visual content of the image and the text that surrounds it. (Source lavanguardia.com). ABSTRACT: In this thesis, we address the problem of automatic dating of old photographs using attributes from image and surrounding text. Over the last centuries, photography and metadata have undergone many mutations. In an informative and contextualizing vocation, we report our observations regarding these technological advances. This information helps to understand the evolution of photographs dating methods that have historically been studied manually before becoming recently automatic. We focused in a fundamental concept of dating: the ordinal nature of time. To this extent we studied ordinal classification methods and associated evaluation measures. 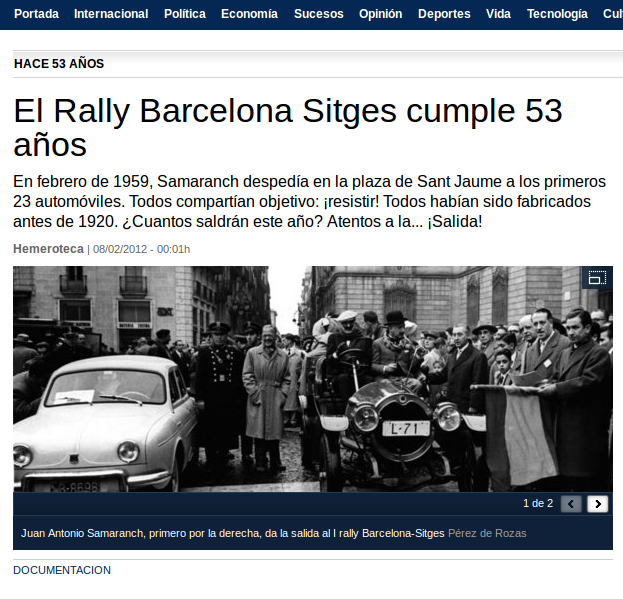 In this thesis, we have built a large collection of web pages combining old photographs and text content. This collection aims at allowing both training and evaluation of the proposed models. This represents an advance in the field of photographs dating because no comparable data set previously existed. We propose an original model that we have developed and evaluated on image databases to date the photographs with their visual content. The major feature of our approach is the exploitation of the ordinal structure of time. This is to our knowledge the first use of this intrinsic characteristic of photographs dating. Moreover, we explore the dating of photographs by the use of the surrounding text data. In our approach, we mimic the human behavior used in the context of photographs dating. Thus we propose for the first time an automatic method for the dating of photographs by the use of the textual environment. Keywords: Photographs - Dating ; Automatic classification ; Information retrieval ; Computer vision ; Natural language processing (Computer science) ; Named entities. 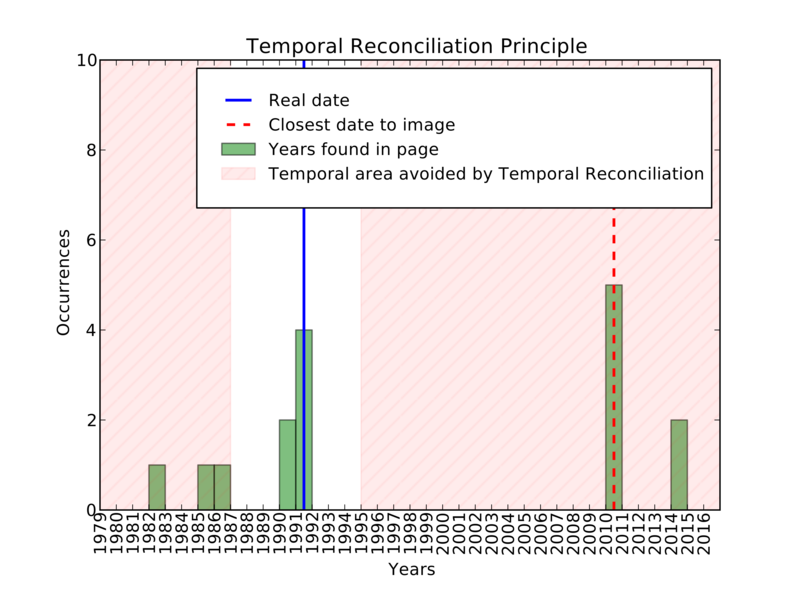 Example of the Temporal Reconciliation. ABSTRACT: Temporal classification of Web contents requires a "notion" about them. This is particularly relevant when contents contain several dates and a human "interpretation" is required in order to chose the appropriate time point. The dating challenge becomes even more complex, when images have to be dated based on the content describing them. In this paper, we present a novel time-stamping approach based on semantics derived from the document. 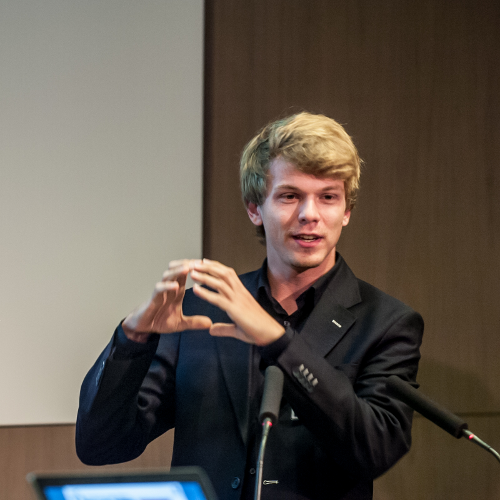 To this end, we will first introduce our experimental dataset and then explain our temporal reconciliation pipeline. In particular, we will explain the process of temporal reconciliation by incorporating information derived from named entities. 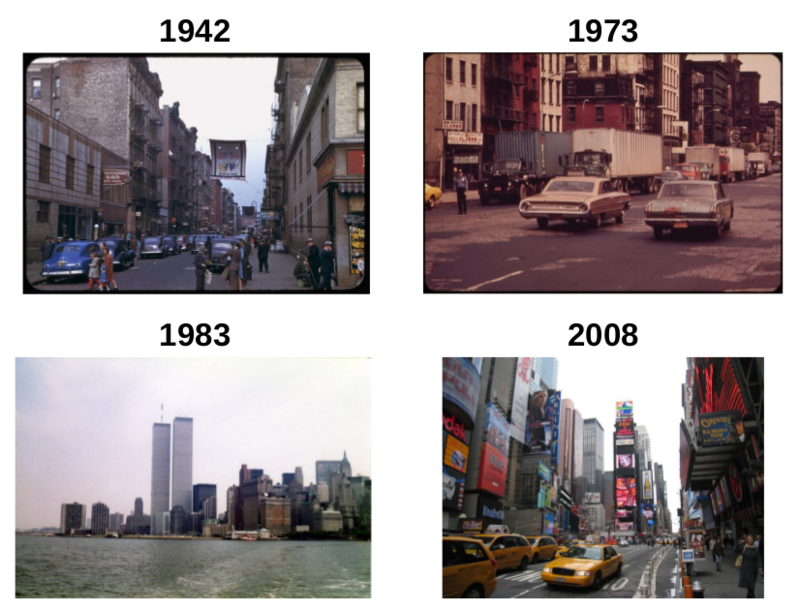 Four different pictures of New York City. The overall objective of this work is to automatically predict the date when such images were taken. ABSTRACT: This paper proposes a new approach for automatically dating a photograph, based solely on its content. Building on recent advances in computer vision, the images are first described by a set of features. Then, the age group of every image is predicted by a classifier trained with annotated data. The key strength of our approach - which makes it perform better than existing ones - is the introduction of an ordinal classification framework, particularly adapted to the type of data to be predicted (age groups). The approach is validated on a recent challenging dataset for which it produces state-of-the-art results. Exemple de résultat de recherche souhaités pour la requête "New York". ABSTRACT: This paper presents a new area in the domain of Temporal Information Retrieval, which has received much attention for the last few years. Temporality can be viewed as a way of diversifying Web search results in response to any given user’s query. In this paper, we describe a study about image timestamping for temporal web image retrieval. This process imposes a large amount of theoretical and technical considerations that we try to summarize and evidence. Finally, we try to unlock the raised problems by proposing potential solutions and ideas for future works. RÉSUMÉ : Cet article s’inscrit dans le contexte de la recherche temporelle d’information qui est une thématique en plein essor depuis ces cinq dernières années. La temporalité peut être vue comme un axe de diversification permettant de raffiner les résultats des requêtes formulées par les utilisateurs. Dans cet article, nous présentons une étude sur la datation automatique de pho- tographies pour la recherche temporelle d’images de la Toile. Ce processus de datation impose de nombreuses considérations à la fois théoriques et techniques caractérisant cette tâche parti- culière. Nous essayons ici de résumer quelles sont les difficultés et les problématiques associées à ce sujet, avant de chercher à désamorcer les problèmes soulevés en proposant des solutions et des pistes de travail futures. Assistant Superviser (a 2nd year Masters student Digital Document Engineering): "CARBON QUATORZE - social game for dating images." Training Tutor (3rd year undergraduate student).